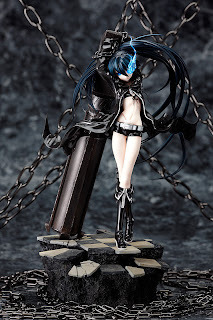 The hottest, most drooled after, figure about to be unleashed on the otaku crowds is the Black Rock Shooter, from Good Smile Corp. This figure is simply amazing. I am not a figure collector but that thing is definitely going onto my shelf if I ever get my grubby paws anywhere near one.